Al Ahli Bank of Kuwait (ABK) recently celebrated World Humanitarian Day, as a group of ABK staff volunteered to distribute packages to street cleaners across Kuwait. World Humanitarian Day, which falls on 19 August, is marked universally through initiatives and projects committed to recognizing humanitarian personnel who dedicate their lives to the cause and to encourage humanitarian deeds worldwide. The packages distributed by ABK included essential food items, water bottles, caps and towels; all in an effort to keep street cleaners refreshed and hydrated throughout the day. 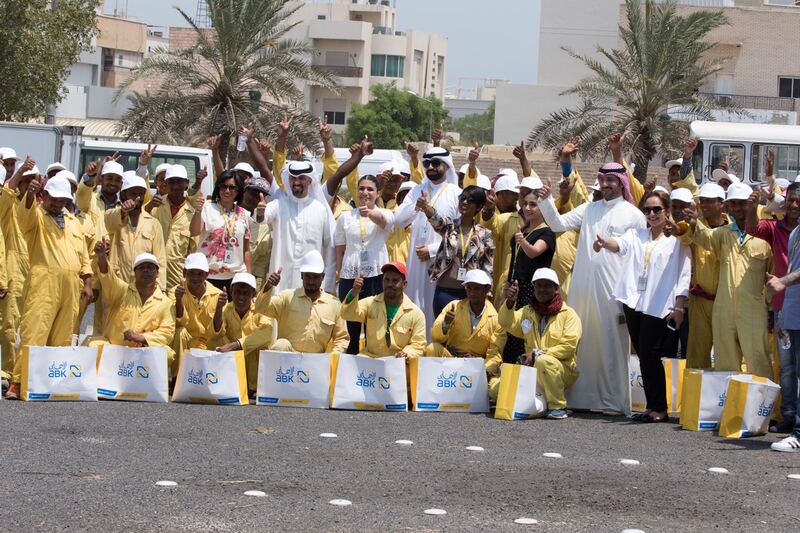 This initiative came as a gesture from ABK to demonstrate its support to these hardworking individuals that keep the streets of our beloved Kuwait clean.